Rope Gauge for Quality Control and the Field Engineer. 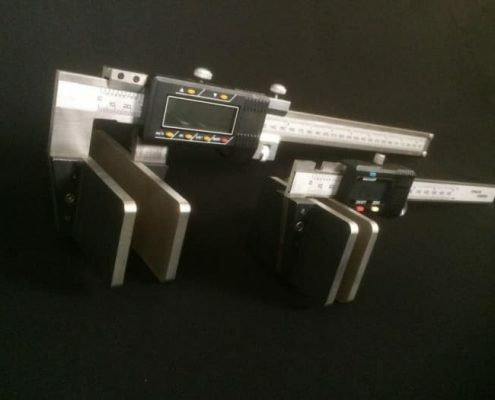 The introduction of Digital Rope Gauges to the product range at the Dusseldorf Wire 2014 Exhibition has created huge interest. The product enables the user to accurately measure the diameter of a wire rope from a digital readout. 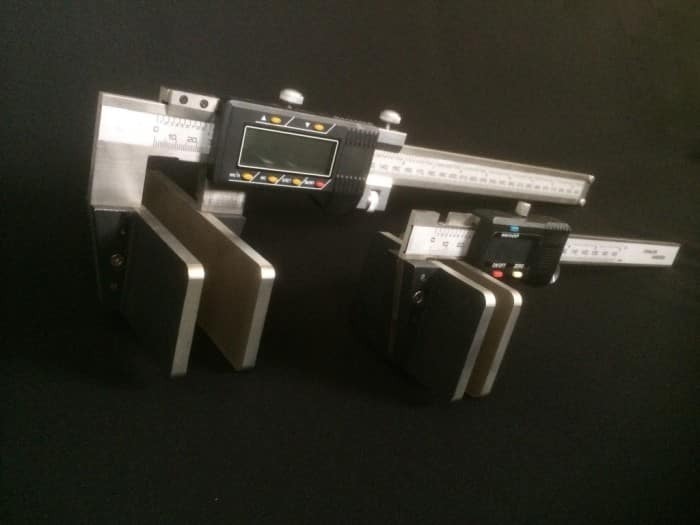 The measuring plates of the devise can be manufactured to sizes that suit the customer. 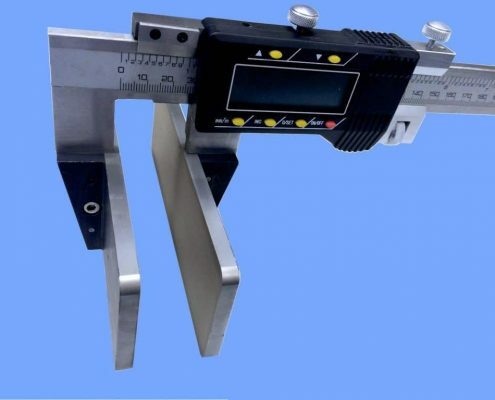 Manufactured from high grade steel, the plates are hard wearing and have a high degree of face-to-face accuracy, making the Rope Gauge a useful Quality Control tool as well as must for instalation engineers.